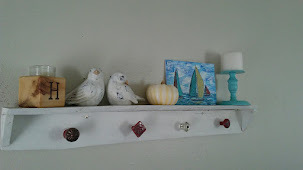 My inspiration this week was an old thought...finding contentment in the simple things of life. Seeing the ordinary as beautiful. I don't know what esp. made me think of it. I had a usual week. Went to a birthday party or two, went to an all day sewing, spent a day shopping for winter clothes, painted a small area in my kitchen, read a book, and did other endless, meaningless chores. Just plain, simple life happening all around me. And time with my friends that go way back! Jenn and I had so much fun when I flew to GA for that ladies retreat.